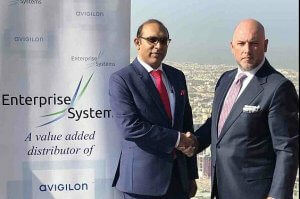 Enterprise Systems has signed a value added distribution (VAD) agreement with Avigilon Corporation, which will enable its regional channel partners to offer Avigilon’s security solutions to enterprise customers across the UAE. The relationship will enable Enterprise Systems to recruit and manage partners to build a steady revenue stream and scale Avigilon’s business in the region. Enterprise Systems will focus its efforts on the government, finance, healthcare, hospitality, transportation, oil & gas, and education sectors where the company has experienced success in the past. Pouya Parsafar, MD at Enterprise Systems, said: “The UAE is developing fast and we expect rapid growth in the next few years. We intend to capitalise on this market opportunity and our committed and passionate team will work hard to actively promote Avigilon’s trusted security solutions. “Avigilon has one of the strongest and most trusted brands in security surveillance solutions, leveraging its capabilities and focus on video analytics and high-resolution camera technology. Its video analytics and video management software provide customers with an easy-to-use control interface at the click of a mouse. “Enterprise Systems is excited to partner with Avigilon. They have a true video search engine, Avigilon Appearance Search that automatically analyses video data from multiple sources to quickly locate persons, vehicles and objects of interest. Ultimately, this makes finding the information you are looking for incredibly easy and is quickly changing the nature of how we use video surveillance,” he added.